Selling a car in Adelaide is no longer a difficult task. In fact, with Cash 4 Cars, car owners can get instant cash sales for their cars. Just how is this process possible? We are car buyers that are “THE” car buyers in Adelaide that pay instant cash for cars. When you have a car for sale, don’t waste money advertising it. You don’t have to go to the expense of advertising it to find a buyer. In fact, if the car needs a few repairs, you don’t have to go to the expense of repairing it. 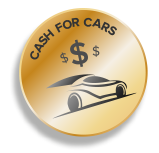 With Cash 4 Cars of Adelaide, we are car buyers that buy cars in “As Is” condition. We buy wrecked, scrap, used, and damaged cars for top cash. When you have a car that is for sale, we will buy it without you having to go to any hassles. Whether you have a used car or a scrap car, we make fair cash offers that are usually accepted. We are a legitimate car buyer, one that is trusted as a quality car buyer & Car Removal Company in Adelaide. We make car owners quotes for their autos over the phone and online. Our process to buy cars is so fast that typically when a car owner accepts our quote, we can be there as quickly as they would like. Meaning that same-day car removals are no problem for Cash 4 Cars. Yes. We come to the location of our customers in Adelaide to buy their cars. We arrive with all the necessary paperwork and the cash amount that we offered for your car when you obtained and accepted our quote over the phone or online. The process is quick and complete. We also do all the tedious work of loading the car and transporting it back to our yard. With us, you have a quick sale that is a complete package for cars of any make and condition. Where else can you find a buyer that gets the car from you and hands over the cash, all within a few hours of the initial phone call? To obtain a cash quote, give us a call at the number below. For an online quote, visit our homepage. Get top cash for cars of any make and condition.